Welcome to our Chinese Herbal Solutions Guide! Our online store is extensive–and for that reason, we created this guide. We want to help you in finding the best solution for your health needs, benefiting from everything that Chinese Herbal Medicine has to offer! In this guide, we have listed our most basic categories to help simplify your options on where to begin your research. Let us know in the comments below what you think of this guide and if it has helped you in starting your research. Some of you are only looking for teapills or capsules for ease and convenience, where other’s cannot swallow them and need their Chinese Herbal Formulas in a raw form to create a tea. If you are one of these people who is particular about what form your Chinese Herbal Formulas come in, then you may want to start here. Whatever your preference may be, whether it be instant teas, capsules, tablets or raw formula powder, start filtering your search here: click here. Chinese Herbal Medicine is THOUSANDS OF YEARS OLD! Over this vast amount of time, common combinations of Chinese Herbs have been given specific names creating a formulation. 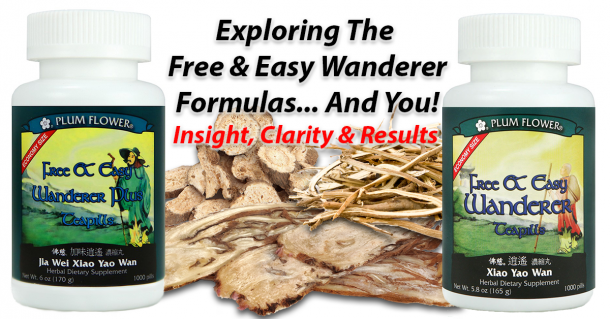 Doing so greatly simplifies the process of creating and purchasing Chinese Herbal Formulas. If you know what formulation you want–whether you have an English name or a Chinese Name (in Pin Yin)–start here! We have a large listing of the most common herbal formulations in both their English names and Chinese Names. We also have special categories for each of these formulations, where we group together brands that have all created the “same” formula–or at least, formulas that all go by the same name. Even when the formulas are named the same, brands will often change the formulation slightly to distinguish themselves from other, competing brands. For instance, here at Heaven & Earth CMHC, our formulations are usually quite different from the standard base formula (we do so because we feel that it is crucial to modernizing our products to fit the modern era). We often give it a familiar name to help you understand its function, all the while conveying that we have an improved and more potent product. Click here to view our Product Name Guide so that you can start your research by finding a particular formulation of interest. Our “Programs” is a very special section of our website, designed to give you more direction and assistance in researching the best solutions for your needs. Within our two main categories, the “Ailment Search” and the “Western Medicine Search”, we use language that is familiar to you! You can start by browsing products in categories like “Anemia” or “Acne”. Each product on our website has an extensive description to help you better understand it’s many benefits–and that should help you identify proper and appropriate solutions. Through this process, you’ll be able to see a good listing of possible solutions that could benefit you, all the while, easing into Chinese Medicine terminology, concepts and principles of healing.